last but not least, Gaia’s engine. I was about to write about her engine and her wonderful engine room, and realized i had forgotten what kind of engine she has, and the hp. So i wrote to Bob!!! She has a Pegaso Spanish diesel engine, from 1994 ,160 hp. It is a very economical engine Bob told us. 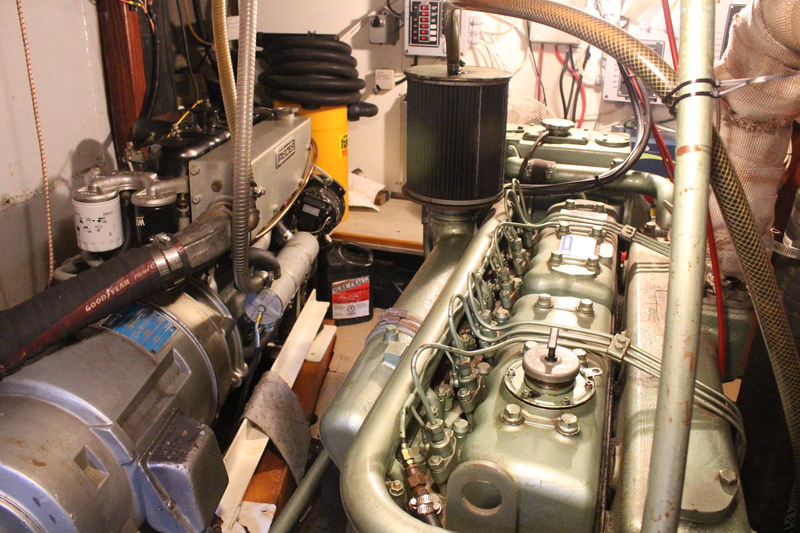 Gaia’s diesel engine with the generator next to it.